Our Park Snooze and Fly Package includes 1 week of free parking at the hotel near Harrisburg International Airport while you're enjoying vacation and a one night's stay at Holiday Inn Harrisburg East the night before your flight. Lastly, shuttle transfers will be provided to Harrisburg International Airport when you depart and transfer you back to Holiday Inn Harrisburg East upon your return so you may get your vehicle. 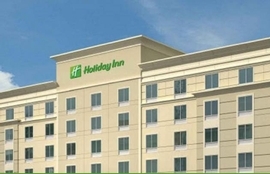 If you need more parking than the included free parking at the Holiday Inn Harrisburg East, you may extend the parking duration for an additional fee of (Varies ) paid to the hotel.